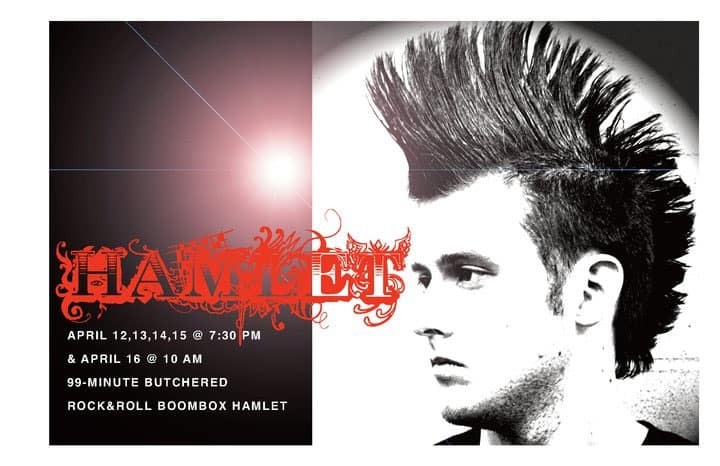 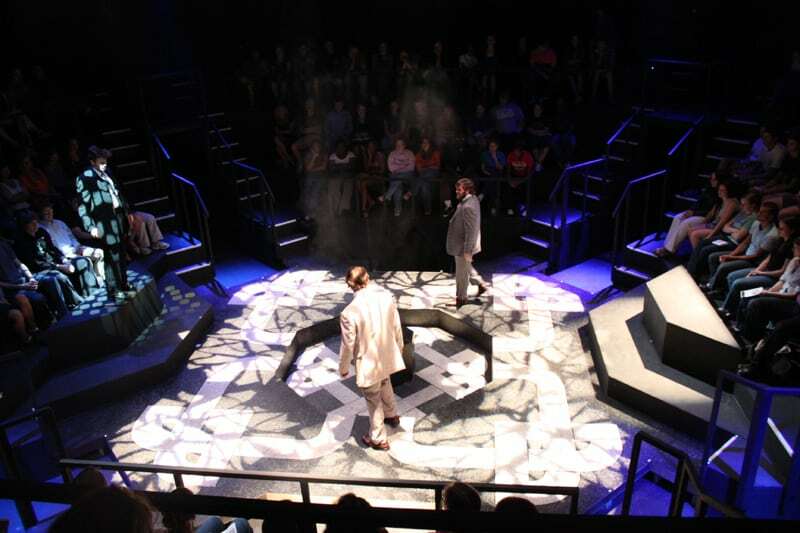 Chris Qualls distilled this version of the classic with concise edits, the injection of an occasional montage, and a liberal use of rock music. 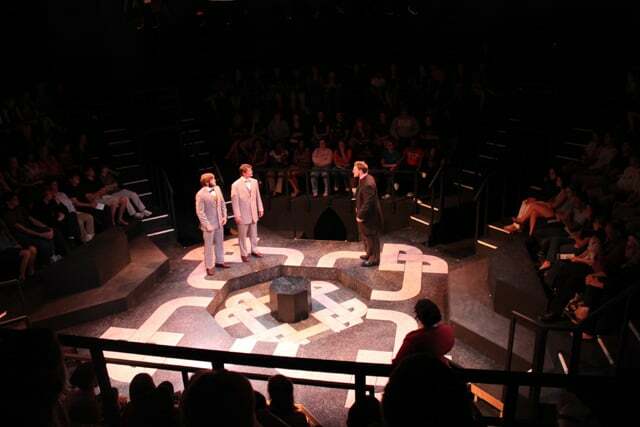 This venue was a large proscenium house. 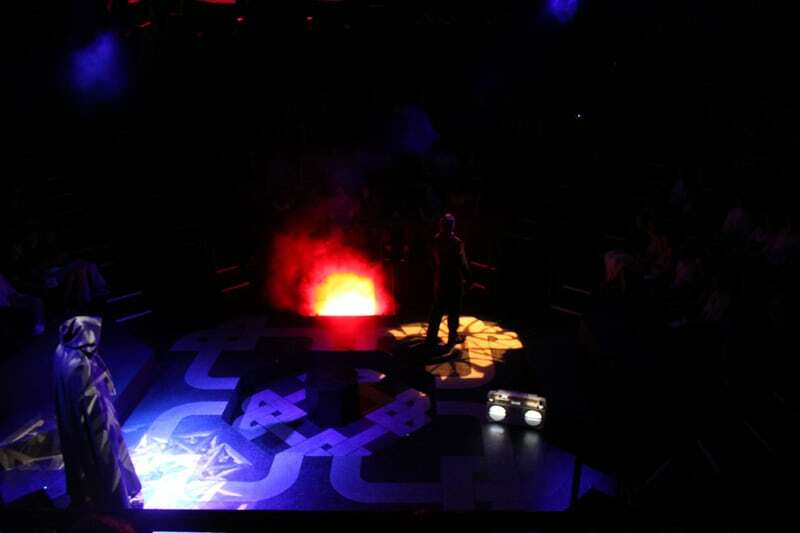 Chris really wanted the feel of a fighting arena, and had no interest in maintaining a fourth wall. 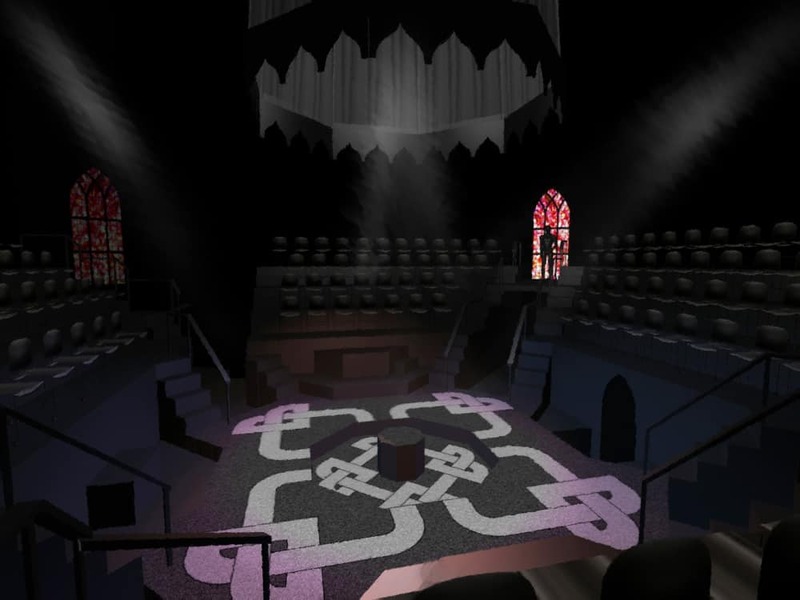 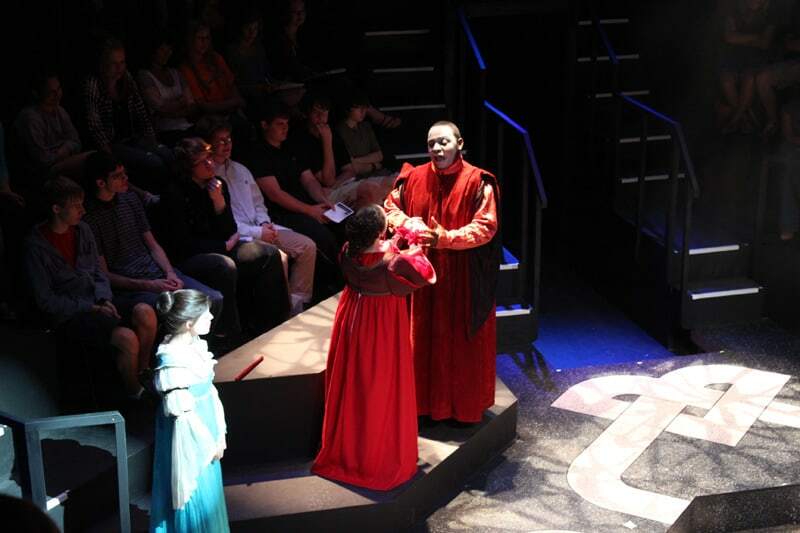 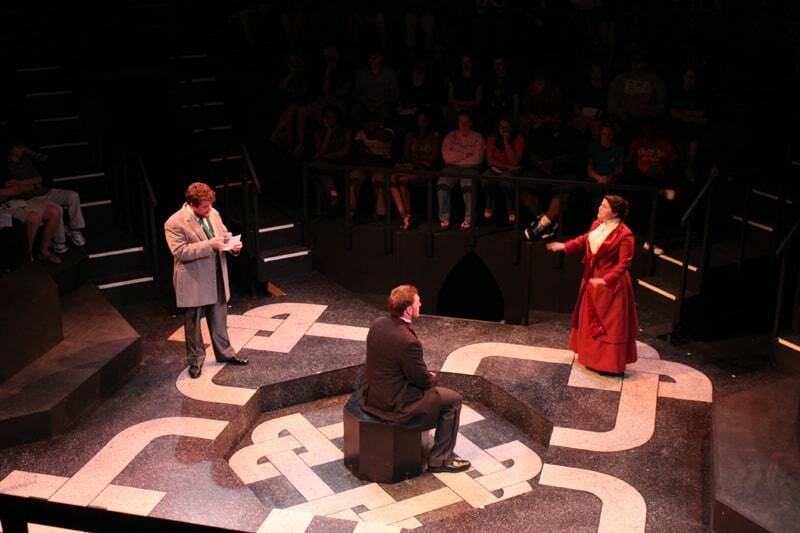 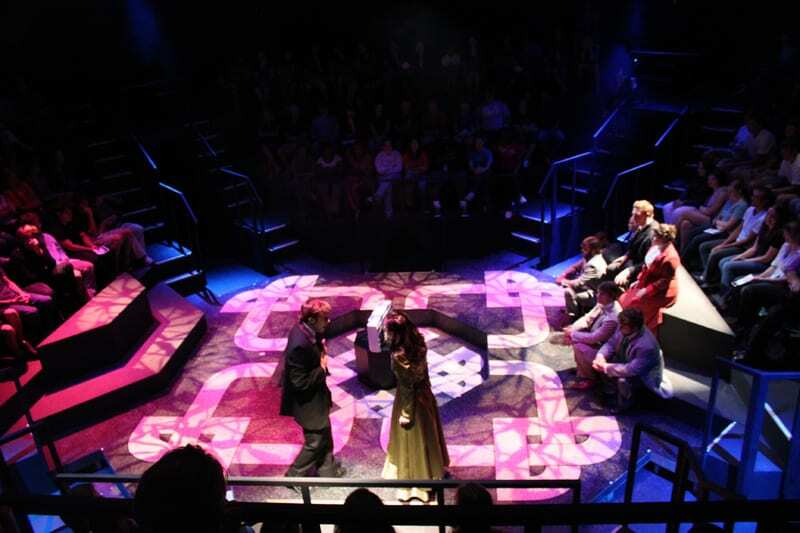 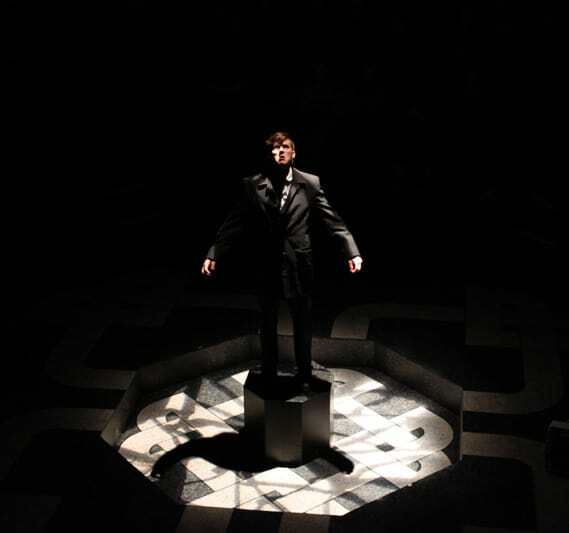 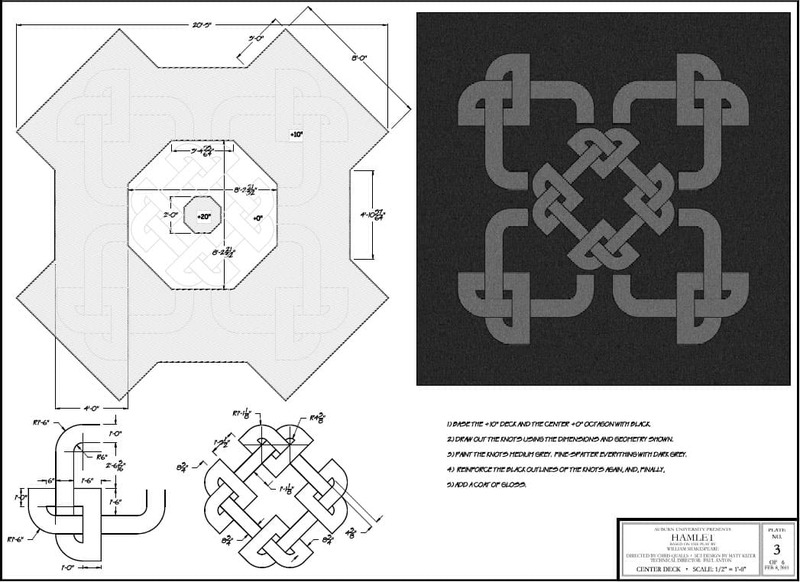 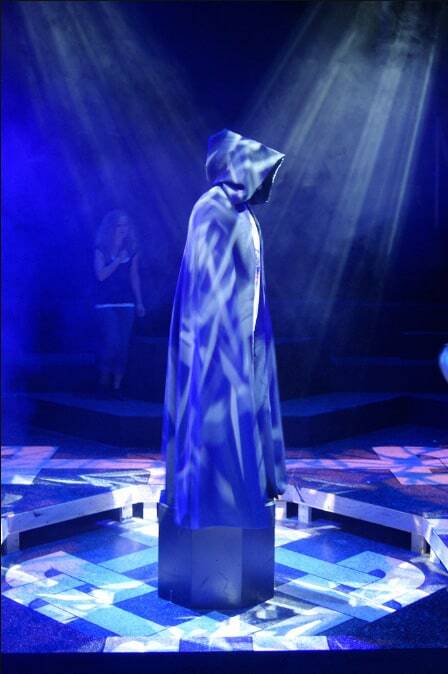 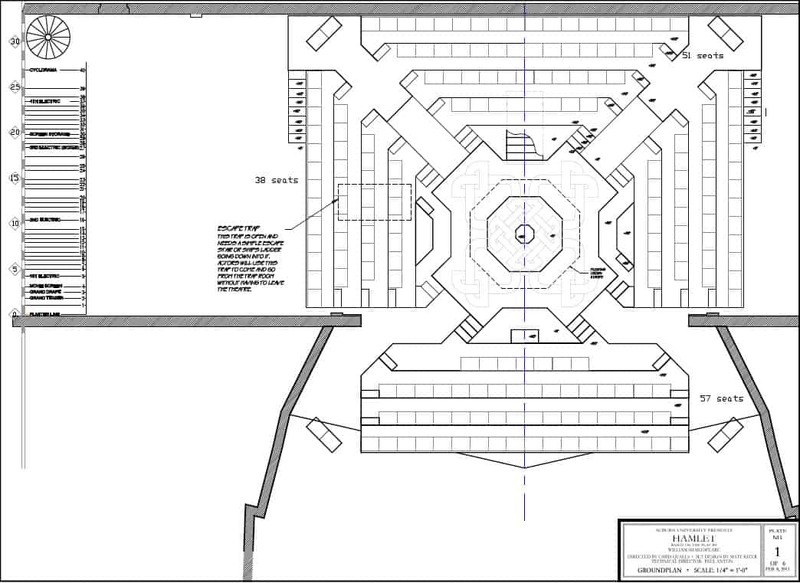 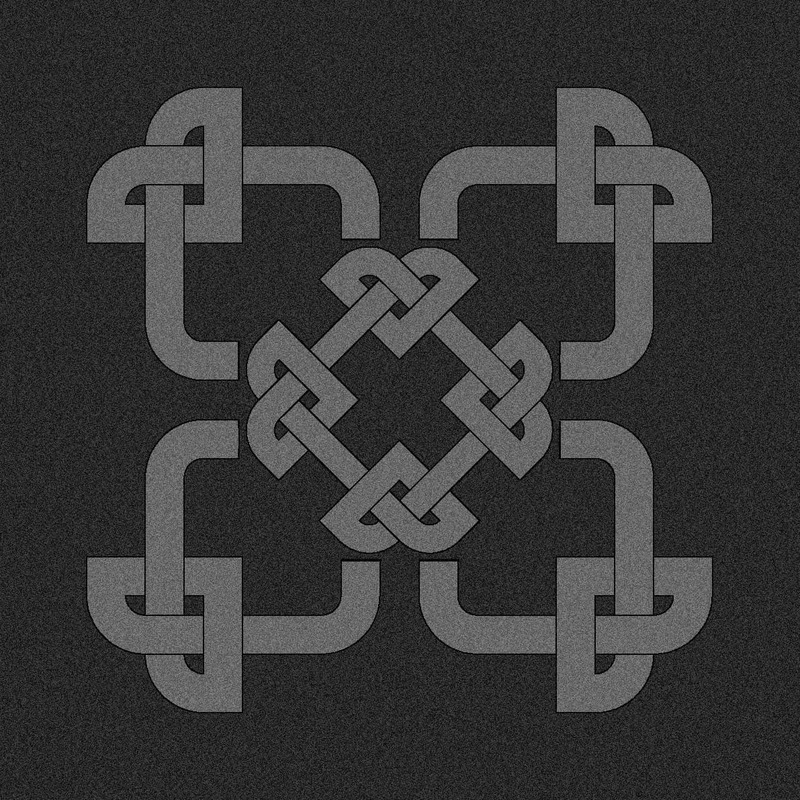 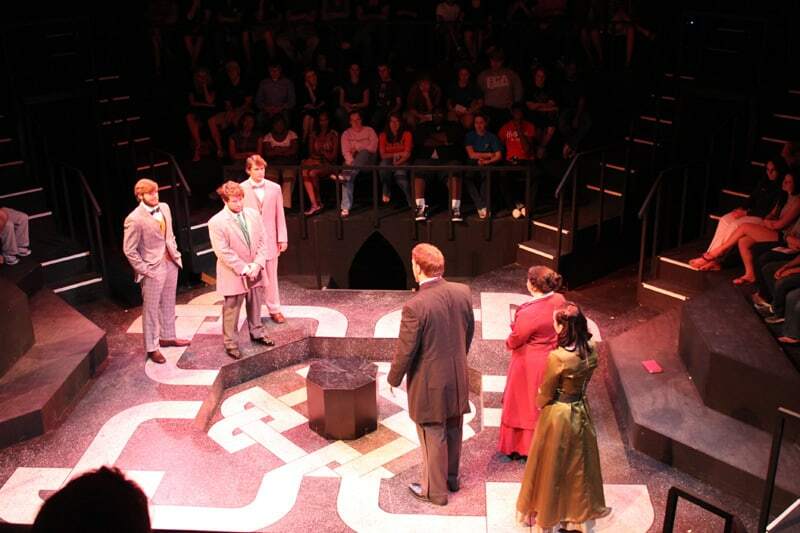 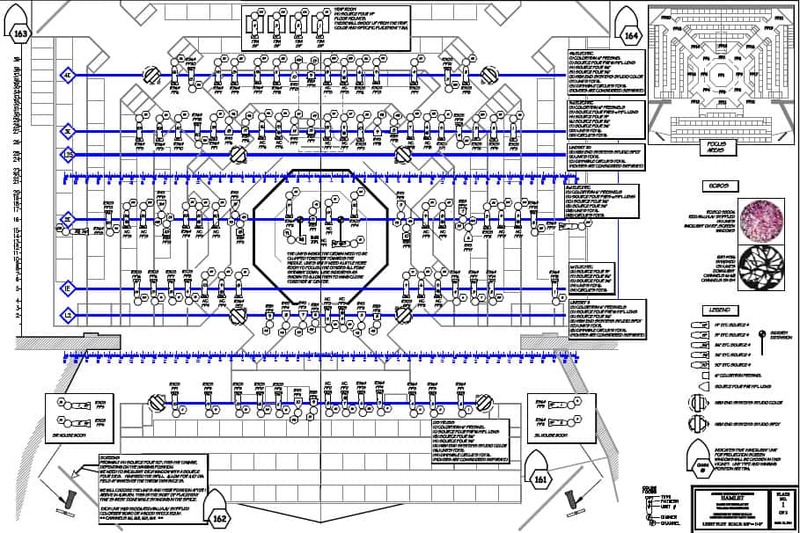 I designed a four-sided arena which was built on the proscenium stage. 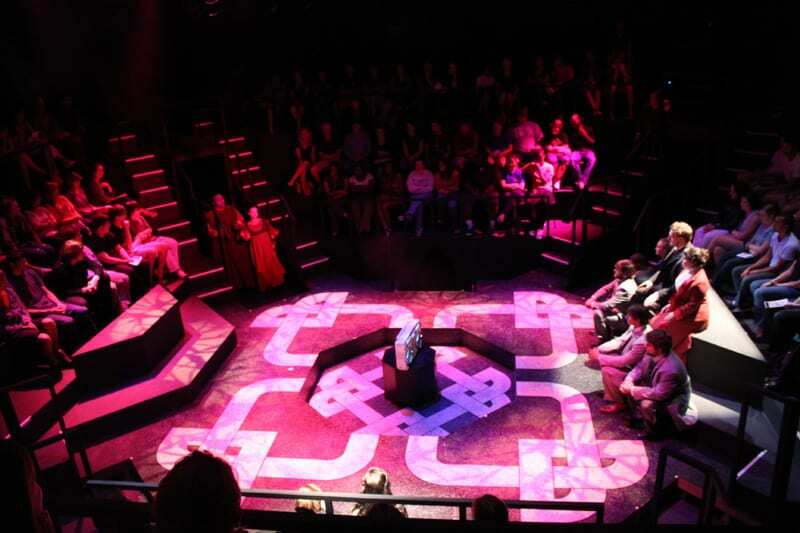 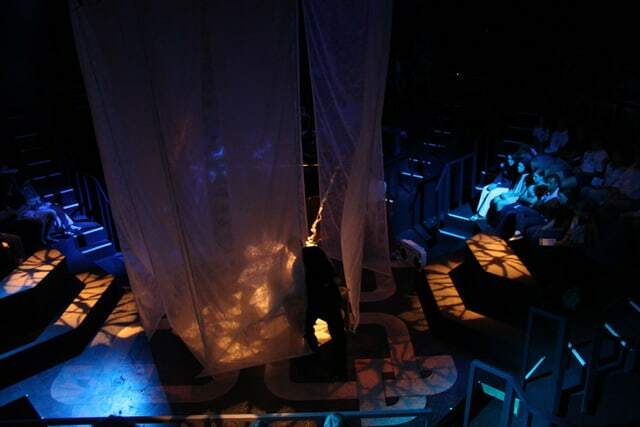 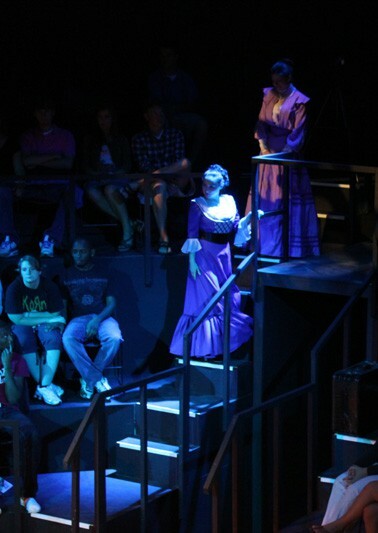 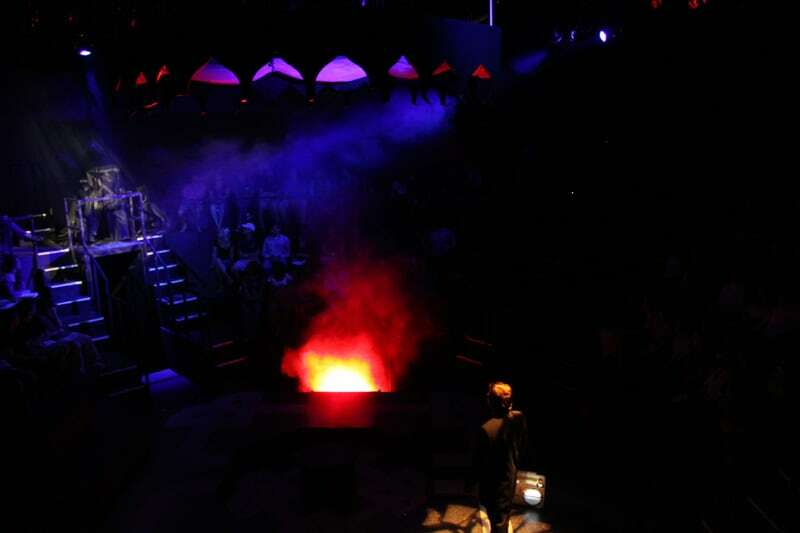 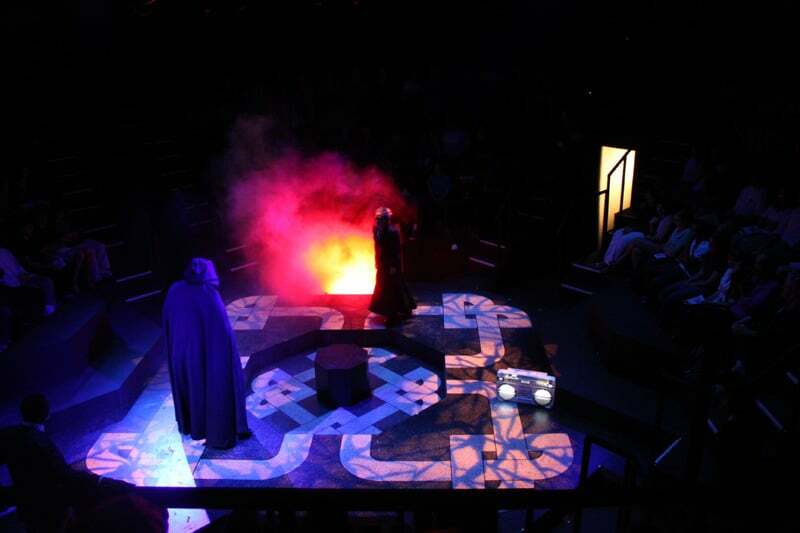 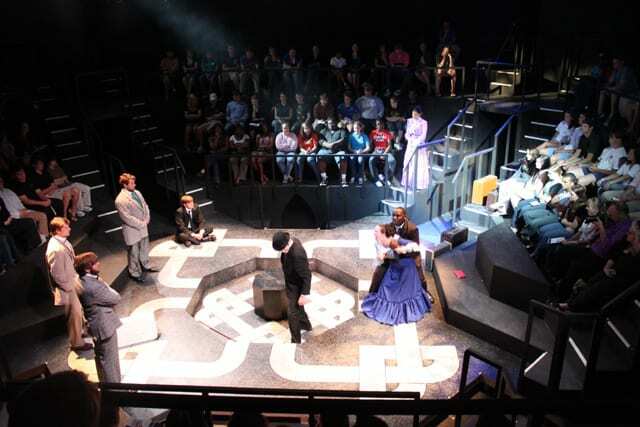 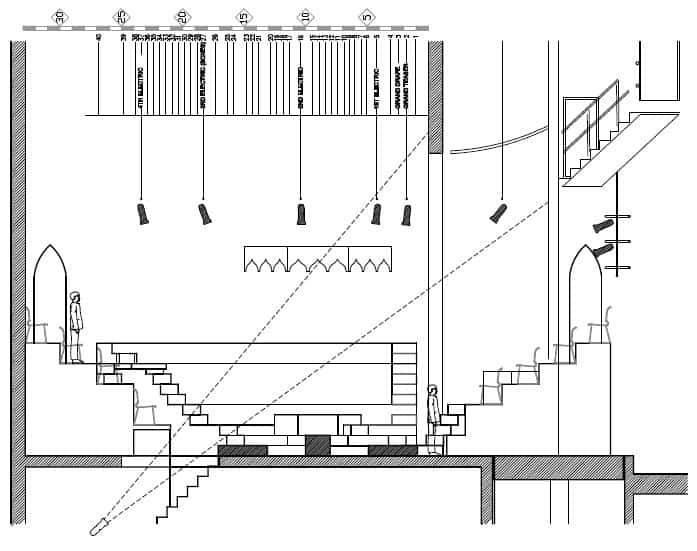 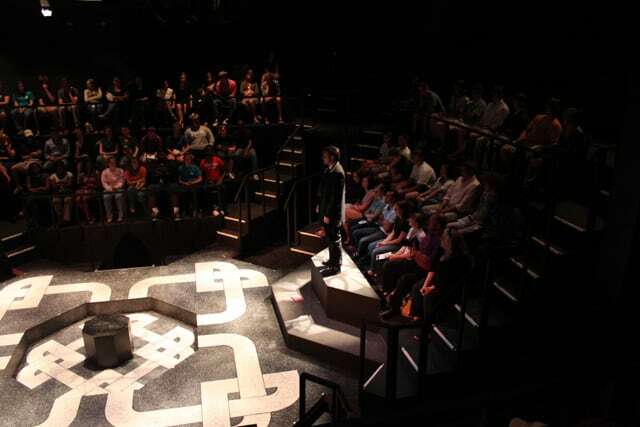 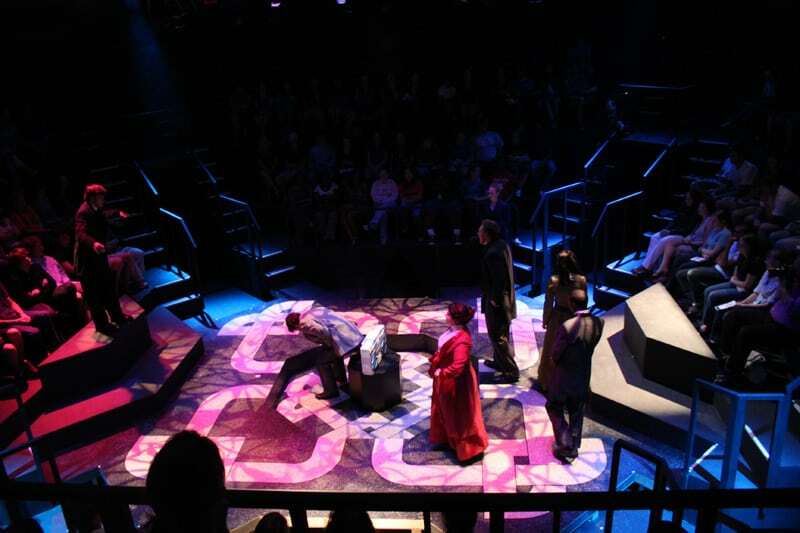 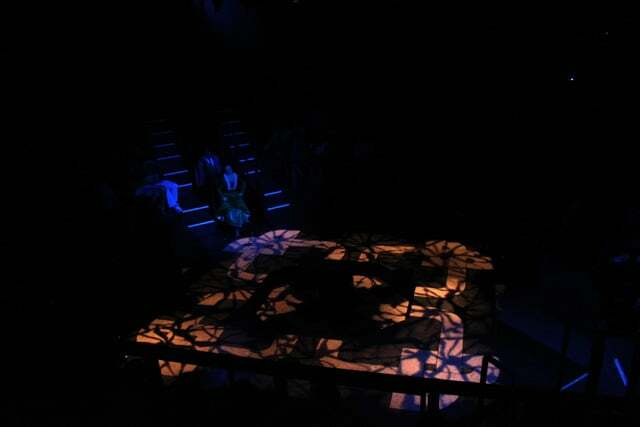 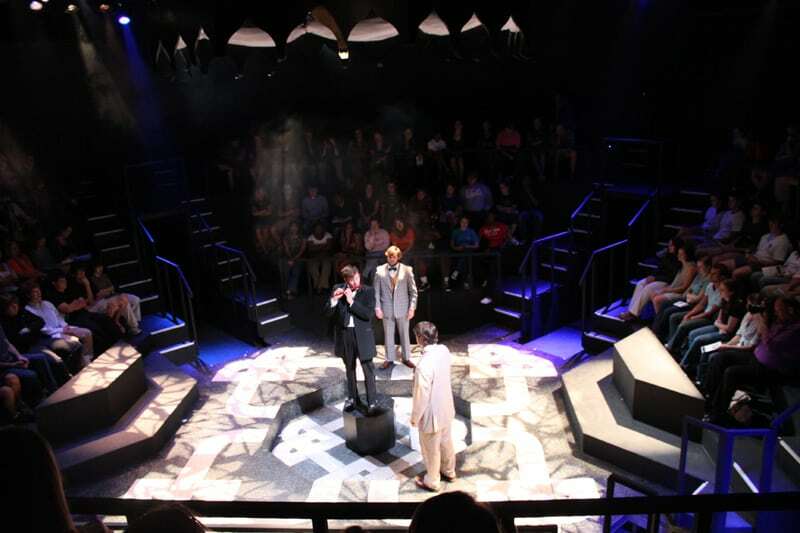 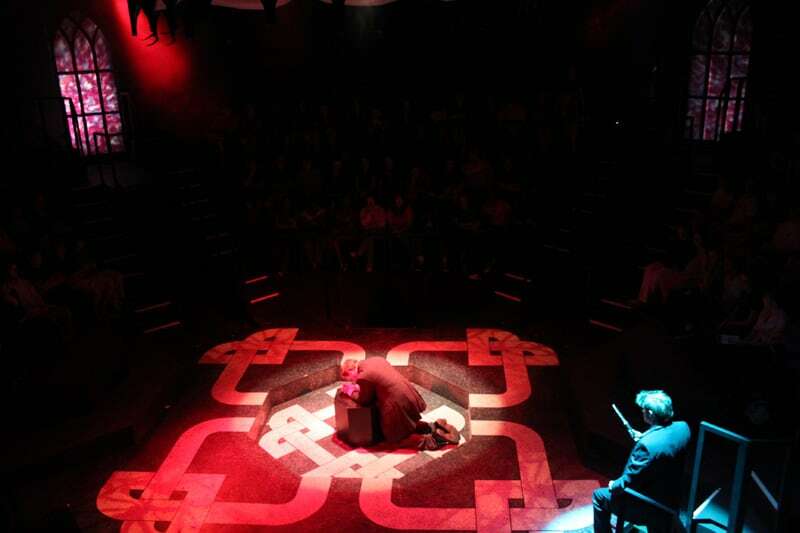 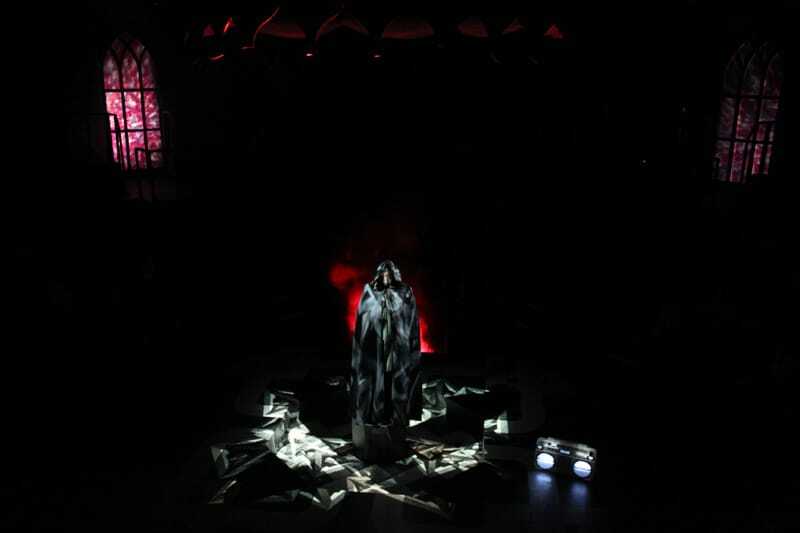 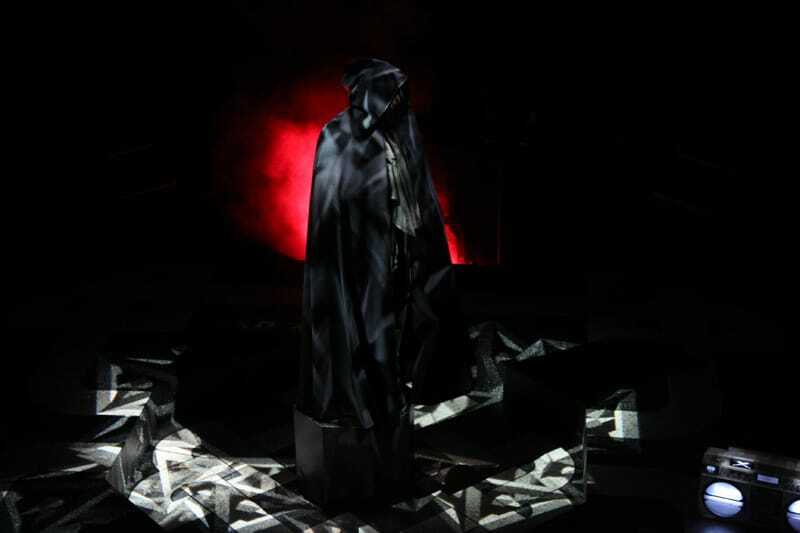 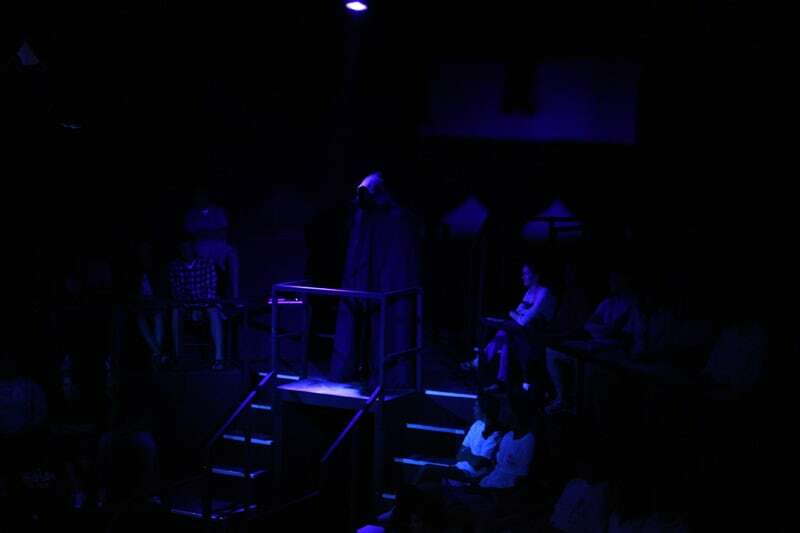 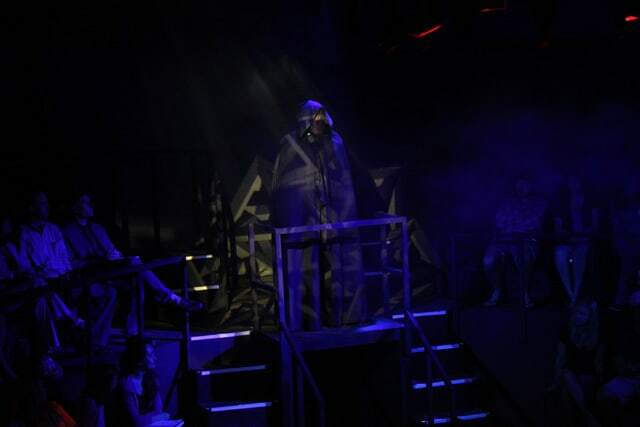 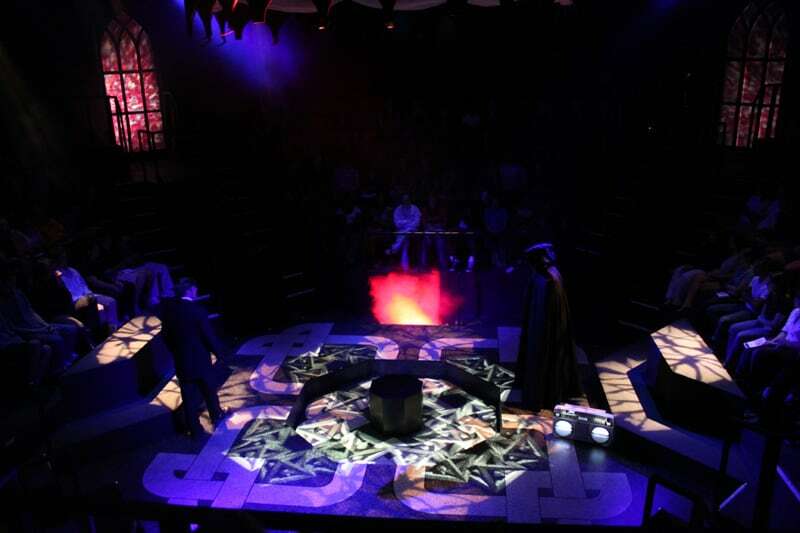 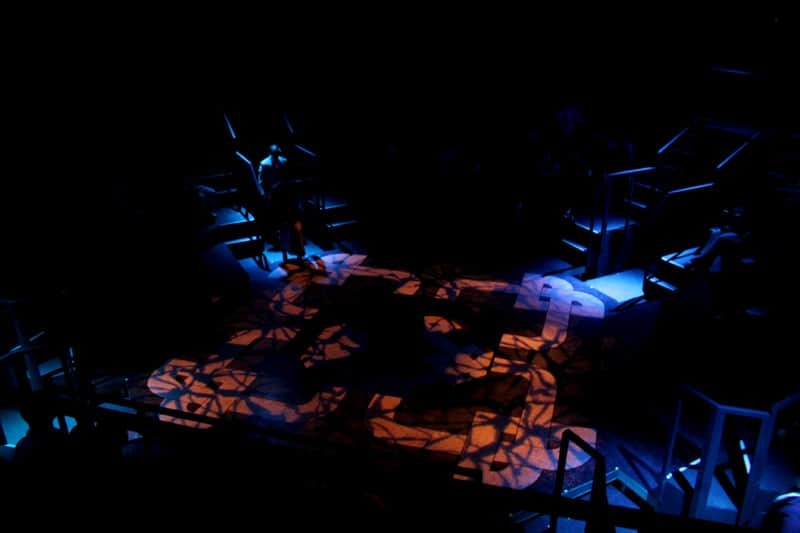 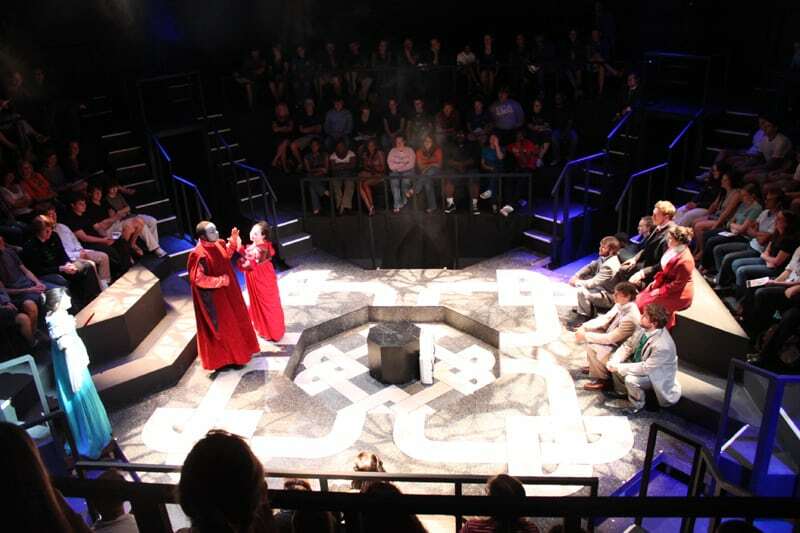 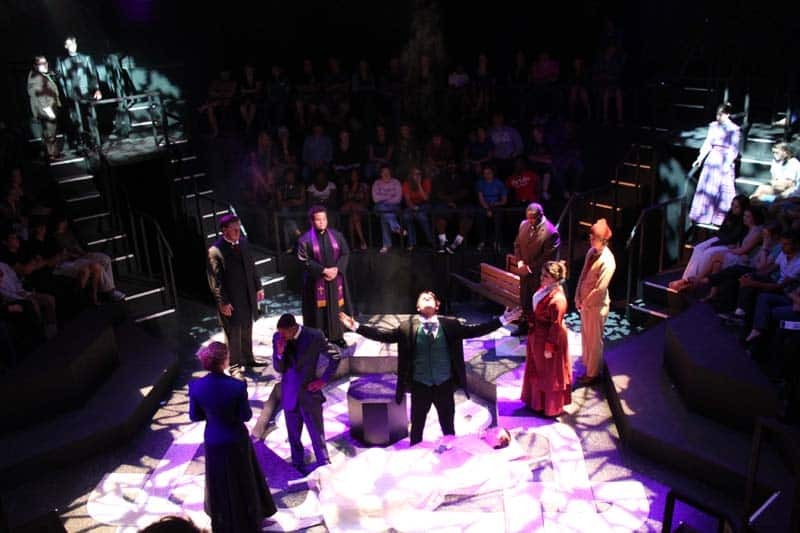 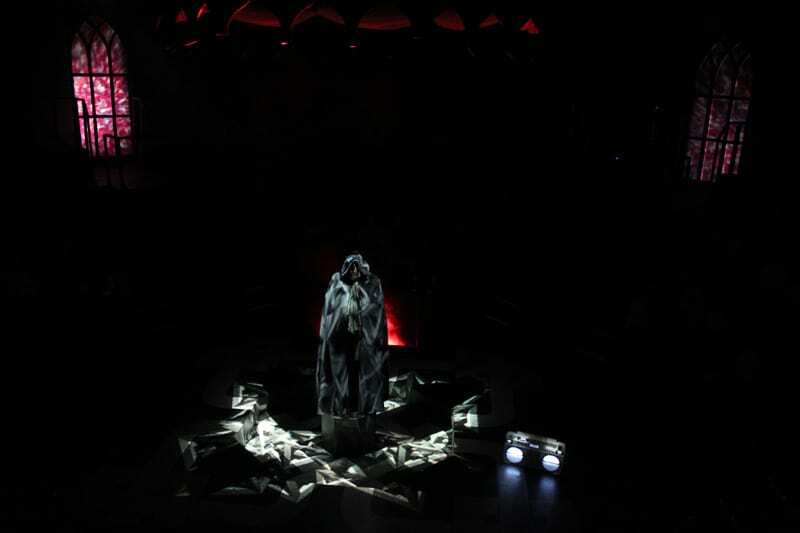 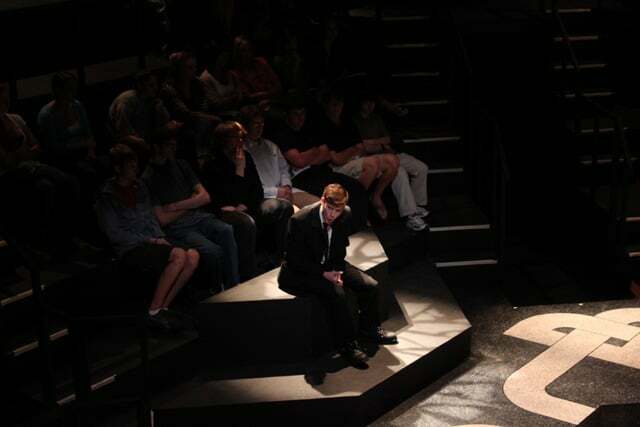 It included four voms with several extra entrances, such as overlooking balconies above the performance space, and a stairwell-trap from the middle of the playing space. 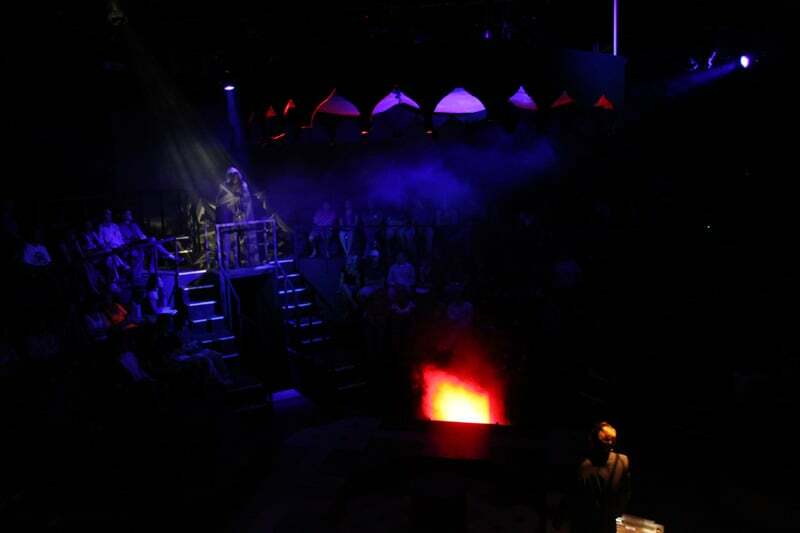 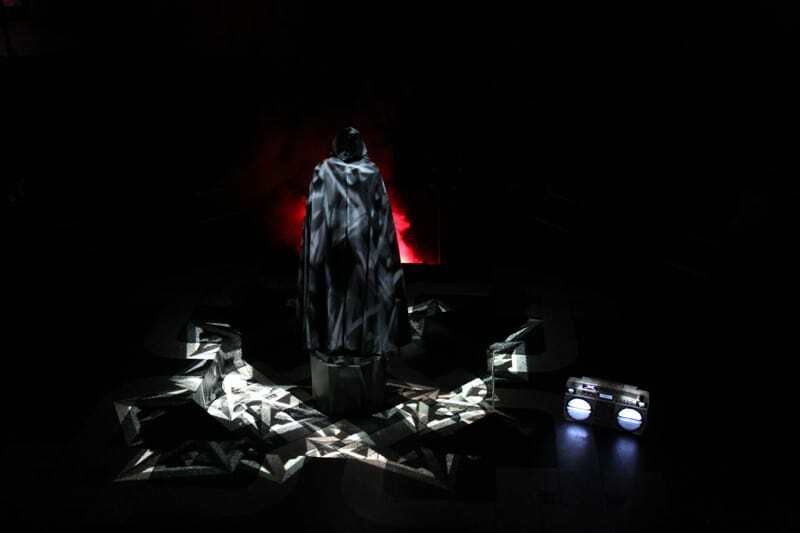 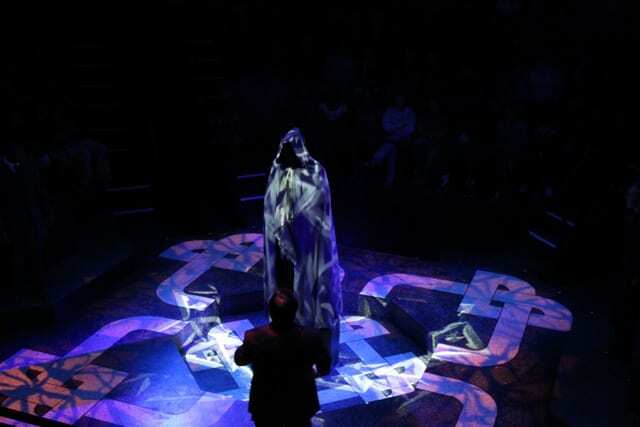 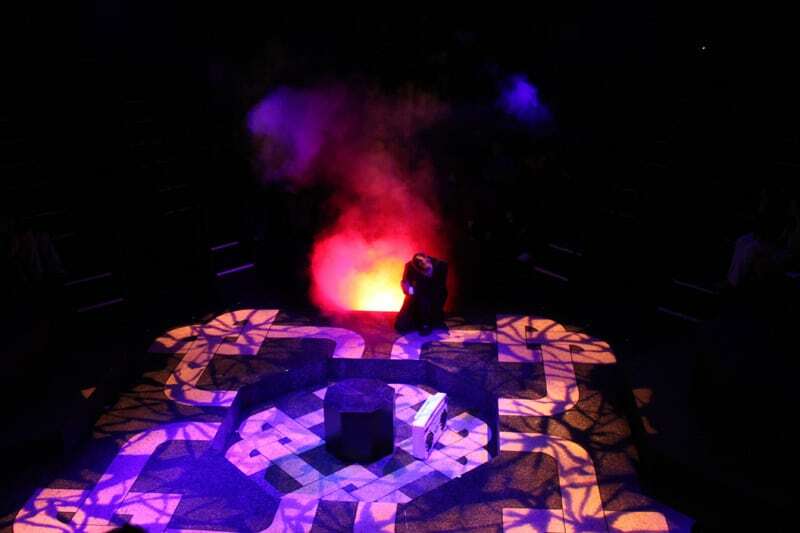 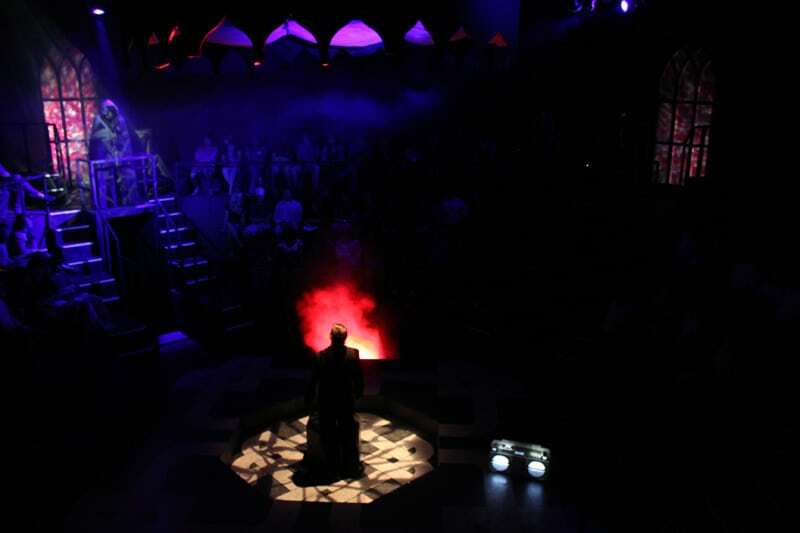 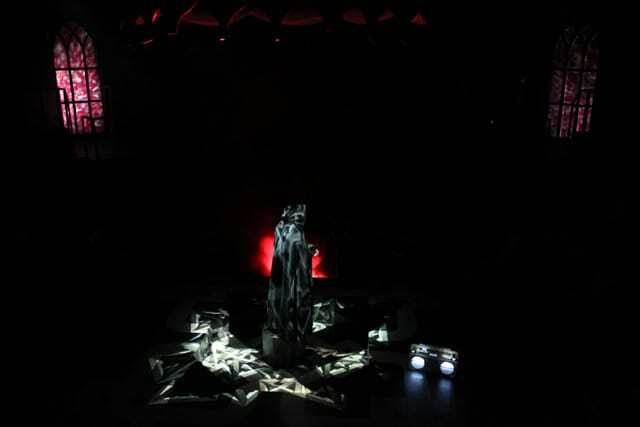 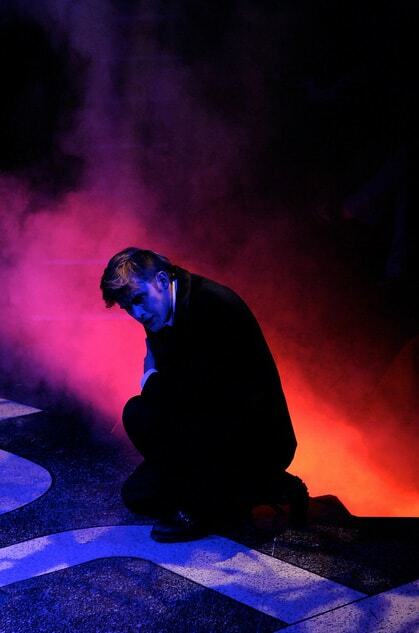 Moving lights and haze were the foundation of the lighting design, along with a remotely controlled and ghostly boombox that mystically drove key moments in the show.